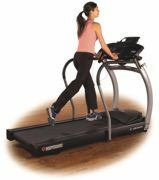 The Bodyguard® T540 is a treadmill built for commercial and vertical markets that require a machine with a huge running area. The T540 is packed with standard features like a 22-inch-by-63-inch running surface, a 3.4-horsepower motor, speeds of 0.5 to 15 mph, zero to 15 percent elevation, and Bodyguard's SDS (shock dissipation system), which has Sorbothane to help absorb shock to the joints that comes from running and walking. Also standard on all T540 units: HRA (heart-rate access), ESC (electronic stride control) and contact heart rate. The benefits are numerous, and the high quality from Bodyguard® is expected. Become a recognized leader in your community by making a difference in the lives of youths and capturing new members for a lifetime. Strive helps with its kidzSmart Strength circuit built specifically for children. 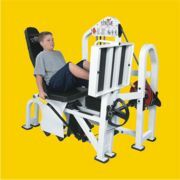 In addition to superior youth strength-training equipment, Strive's Y.E.S. (Youth Exercising Safely)TM Program provides you with an exciting curriculum for teaching children lifelong health and fitness habits. FreeMotion FitnessTM continues to advance the art of integrated-functional training with the addition of the Dual Cable Cross. Easy-to-use adjustments allow each arm to swivel horizontally as well as vertically for dual range of motion, giving users the option of performing a wider variety of exercises. The Dual Cable Cross has two independent weight stacks with a 4-to-1 ratio, meaning users experience smoother and safer resistance. The independent weight stacks also make it possible for two people to train at the same time or for trainers to demonstrate exercises that clients mimic. Stott PilatesTM Rack & RollTM Reformer delivers top performance in a space-saving design. It provides all the versatility, precision and craftsmanship of the company's best-selling "Professional" model in a streamlined, space-saving, stackable version. Now clubs, clinics and studios with limited floor space can offer private or small-group Reformer-based programming without compromising on equipment quality or dedicating a permanent area to equipment. Stott PilatesTM new reformers can be rolled in for a session and then quickly racked up and out of the way. The winter 2005 Sportsmith superstore catalog celebrates the 10-year anniversary for one of the fitness industry's largest providers of value-priced OEM and OEM-quality replacement parts and training products. The Sportsmith business was founded in 1995 by partners Brad Schupp and Tony Lopez and today features parts, electronics and reference diagrams for cardiovascular equipment manufacturers such as Life Fitness, Unisen/Star Trac, StairMaster, Precor and Schwinn. A huge selection of fitness equipment, maintenance and training products is sold at up to 30 percent off OEM prices. A variety of innovative strength-training products, cable attachment bars, pulleys and accessories also are available. As one of the most versatile cross-trainers in the industry, the NuStep® TRS 4000 provides a complete workout for all major muscle groups. The 10 different workloads offer a challenging workout for exercise enthusiasts of any age group. 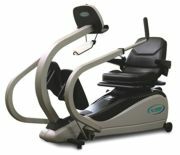 The TRS 4000 provides upper- and lower-body conditioning without stress on the joints and muscles, making it an effective piece of equipment for any facility. Fitness Flooring is a single stop for all your flooring needs. Whether you're looking for vinyl, rubber or wood surfacing, Fitness Flooring carries some of the finest in sports flooring. The popular Flecks line of rolled rubber flooring is effective for any multipurpose, weight or cardiovascular area because it's durable and hides dirt well. Available in a number of thicknesses and combinations and concentrations of color, the Flecks line has a solution to fit your needs. Rolls can be custom-cut to specific lengths for easier installation. Flecks carries a five-year warranty and has been installed in hundreds of clubs nationwide. The Bod Pod® Body Composition Tracking System offers some of the most advanced technology today for obtaining highly accurate assessments of body fat and lean body mass. Using patented air displacement technology, the Bod Pod® is comfortable, easy, safe and completed in just five minutes. Use the Bod Pod® to attract new members, increase personal-training revenues and as a motivational tool. The Bod Pod®'s superior precision and reliability provides the vital information necessary to determine the effectiveness of nutrition and exercise programs.